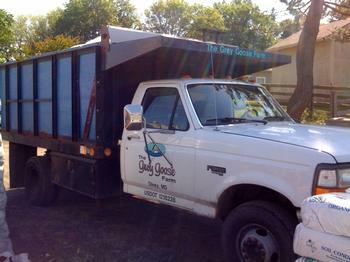 Grey Goose Farm has a fleet of trucks in many different sizes to deliver our products throughout the Metropolitan Area. 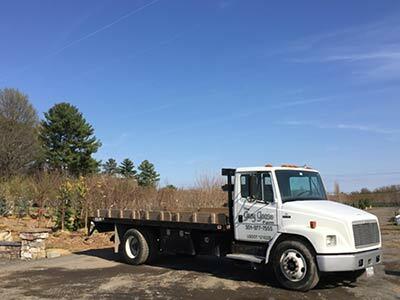 We offer the delivery of bagged products, bulk mulches, soils, stone, pavers, plant material, and more! Setting up delivery is very easy, just call 301-977-7555. We always ask our customers where to dump their bulk products on the driveway, and we always stack bagged products neatly. We never dump bagged products in a messy pile. 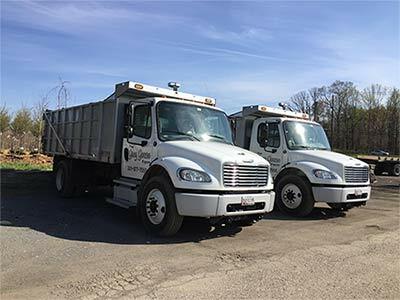 Please keep in mind that we deliver products to your home or work site and that we cannot drive our heavy trucks off black top as it can damage the edge of the driveway, and the grass in your yard.